Google is all set to make its new mid-range Pixel devices official after the Google Play Store and the Google Play Developer Console's device catalogue hinted to the Pixel 3a and Pixel 3a XL. The Play Developer Console also added "bonito" and "sargo," which are supposed to be the fish-related monikers for the Pixel 3a and Pixel 3a XL. Both the devices have also received IMDA certification in Singapore, suggesting an imminent launch of the phones. As far as the leaked details about the phones are concerned, "Bonito" or the smaller Pixel 3a would have a 2,160x1,080 screen, while the "Sargo" or the Pixel 3a XL would have a larger 2,220x1080 display. Both handsets would also have 4GB of RAM, OLED screen with Snapdragon 670, 12-MP rear camera, and 3,000 mAh battery. The listing on the Google Play Developer console alludes to a support for Open GL ES 3.2, bringing advanced desktop class graphics functionality to the device. Android Q code was also spotted with the branding of Pixel 3a and Pixel 3a XL. There have also been reports that Pixel 3a would have a 64GB of onboard storage. The phones list of "system features" also reads "PIXEL_2019_MIDYEAR_EXPERIENCE", hinting that the Pixel 3a and Pixel 3a XL are mid-cycle refresh. 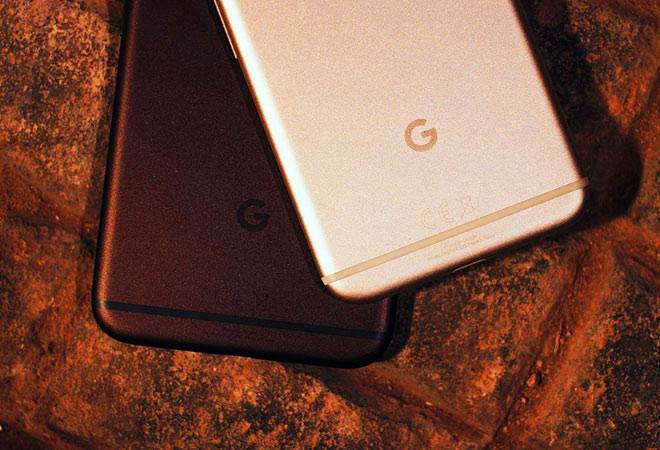 Both the phones might see the light of the day before the tentative October unveiling of the next Pixel flagship. On the IMDA (Info-communications Media Development Authority) certification in Singapore, the Pixel 3a and the Pixel 3a XL were seen carrying the model number G020B and G020F respectively, spotted by MySmartPrice. The same model numbers were also seen at the FCC as well. Other than the two Pixel budget smartphones, a 10-inch smart display called Google Nest Hub Max was also spotted on the Google Store. Other than the big display, the Next Hub Max will have stereo speakers, and a built-in camera for Duo calls. The smaller 7-inch Home Hub had no camera and came with mediocre speaker. The HUB Max will also have a built-in Nest Cam for motion and sound alerts. Not much is known about the release dates but it won't be surprising if Google announced all three devices as part of its I/O conference on May 7.